Compact and lightweight, yet it comes with a protective plastic cover and a map booklet reproducing Ordnance Survey mapping for the entire route. Sets the standard for other guidebook publishers. The contents of this Cicerone Press guidebook by Terry Marsh are fairly standard. 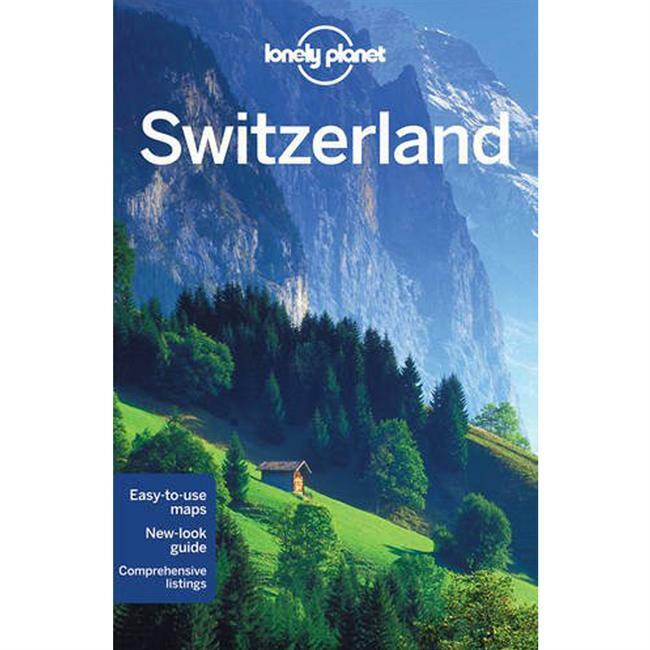 There is a description of the route with 1:100,000 maps, as well as historical and general information about the towns, villages, and other landmarks that are encountered along the way. 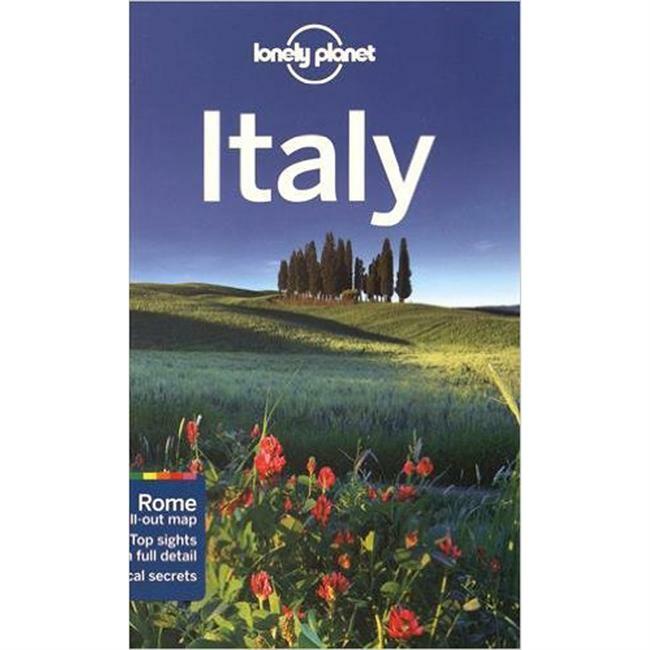 The guidebook breaks the route down into seven stages for the purposes of its detailed route description. But a table near the start of the book indicates how the route can be broken down into six, eight, or nine days. The detailed description covers the route in a south-to-north direction. This is how most people walk the route since walking north means you have the sun at your back. 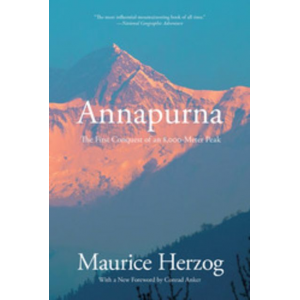 But at the end of each chapter there is also a brief description of the route for those who want to walk in the opposite direction. 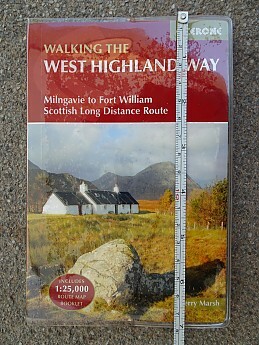 There is a very useful trek planner chart indicating where accommodation and shops can be found and giving the distance of each point from the start of the route. There is also is an appendix listing hotels, bed-and-breakfasts and campsites en route, with phone numbers and addresses so you can book your accommodation in advance. An updated version of this list is available from the Cicerone Press website. Very occasionally, you feel that the route description is not clear enough and a little more detail would be useful. Photos are worth a thousand words, but most of the ones in the book are shots of landmarks to be seen along the way rather than "turn right when you get to this point" photos. This occasional lack of detail is unlikely to pose problems while walking the West Highland Way, because the route itself is very well signposted and easy to follow. But extra detail might be important on some other routes. This guidebook stands out thanks to the extras that come with it. 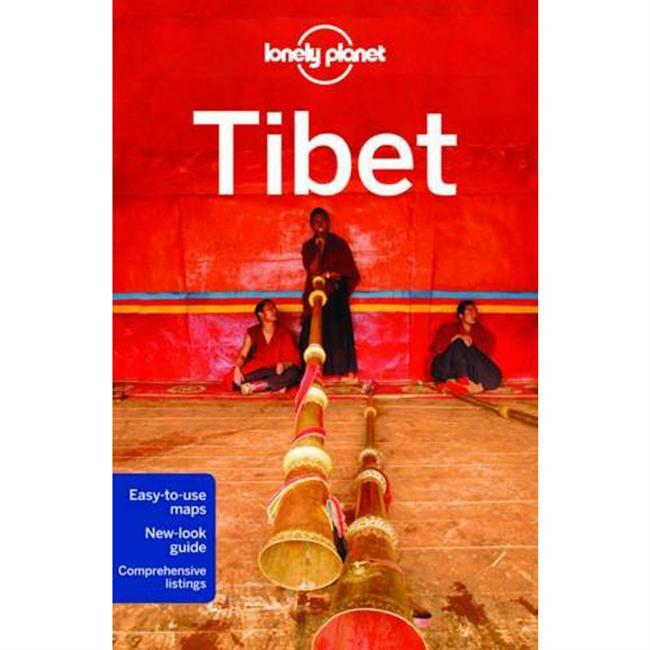 It is encased in a protective plastic cover—useful to avoid damage when the guidebook is stuffed into a trouser or jacket pocket. 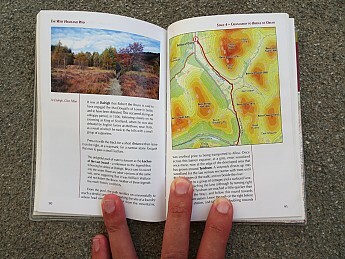 Tucked inside the back cover is a booklet reproducing Ordnance Survey mapping in 1:25,000 scale for the entire route. 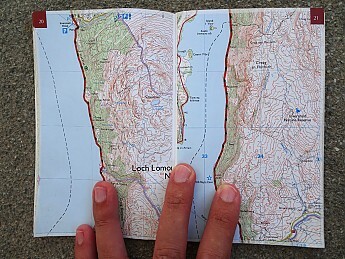 This saves you having to carry your own maps. In spite of these extras, the guidebook is compact: it measures just 18 by 12cm (7 by 4.75 inches) and weighs only 250g (8.8oz). 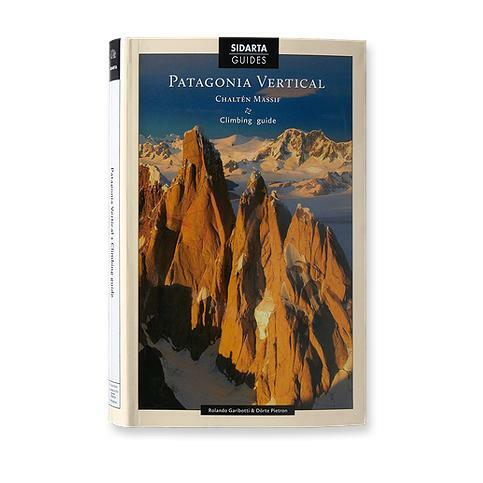 It sets the standard for other guidebook publishers to follow. Nice review, Charles! Thanks! Did you walk south-to-north as well, and is that the direction you'd recommend? Thanks Alicia. Yes I walked south-to-north and I would definitely recommend doing it this way. It saves the best of the route for last and it keeps the sun at your back rather than in your eyes. Thanks Phil. 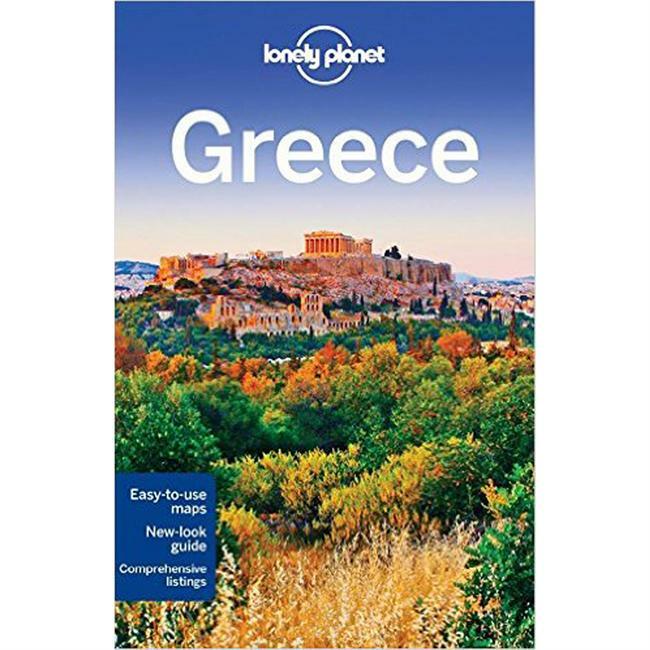 Somewhere, possibly in this guidebook, I read that in Scotland you can get all four seasons in one day. I didn't believe it - now I do! I got plenty of rain on the West Highland Way but I got some sun too, especially in the later stages. On the last day I walked much of the way with the sun collar of my shirt extended. Sounds like a great hike, Charles! 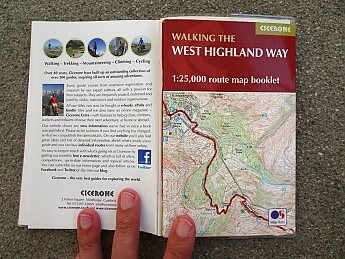 The Cicerone Press Walking the West Highland Way is not available from the stores we monitor.